Wondering what to do with that head of cauliflower in your fridge or freezer? 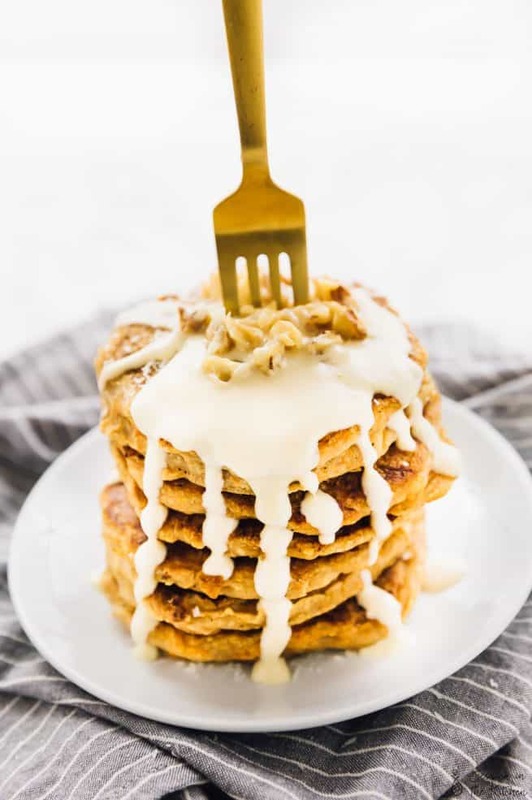 Here are 10 Vegan Cauliflower Recipes to Help You Get Creative in the Kitchen that are all different, unique, and delicious! From tacos to pizza bites to whole meals, everything you need is here! After seeing how well my 15 Easy Ways To Use A Can of Chickpeas post did, I knew I had to share another version with one of my all time favourite vegetables – cauliflower! It took me a while to love cauliflower. At first we wouldn’t even buy it. That was all until I tried “vegan wings” aka cauliflower wings. It completely changed my perspective of the vegetable. Cauliflower is one of my most versatile vegetables you’ll find. It’s also one of the easiest to manipulate and one of the most forgiving. You can have it raw, roast it, steam it, mash it, bake it, fry it – even use it in a pizza dough!! Seriously, if you overcook your cauliflower, just use it in a mashed or blended recipe. You could have it every single day for a whole month and never got bored. It’s that diverse. 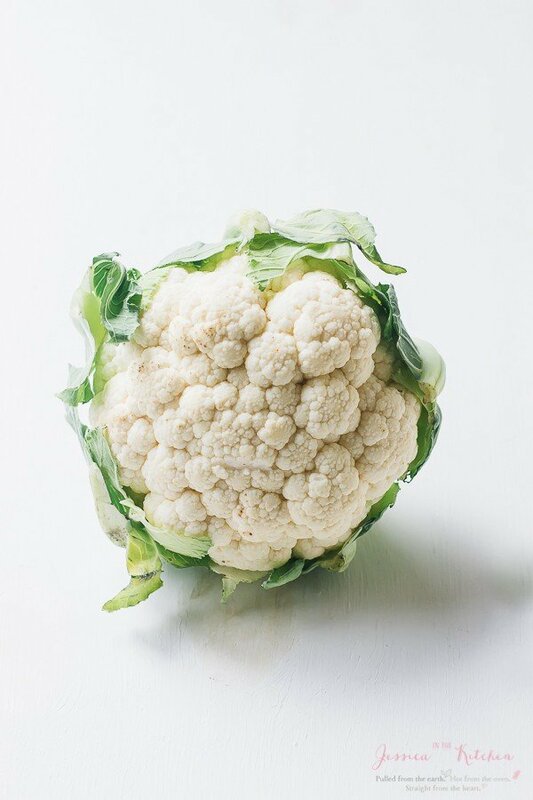 Cauliflower is a cruciferous vegetable, meaning that it’s a part of the same family as broccoli, kale and cabbage. Cauliflower can be enjoyed raw, perfect for a crudités platter, or cooked in many forms. 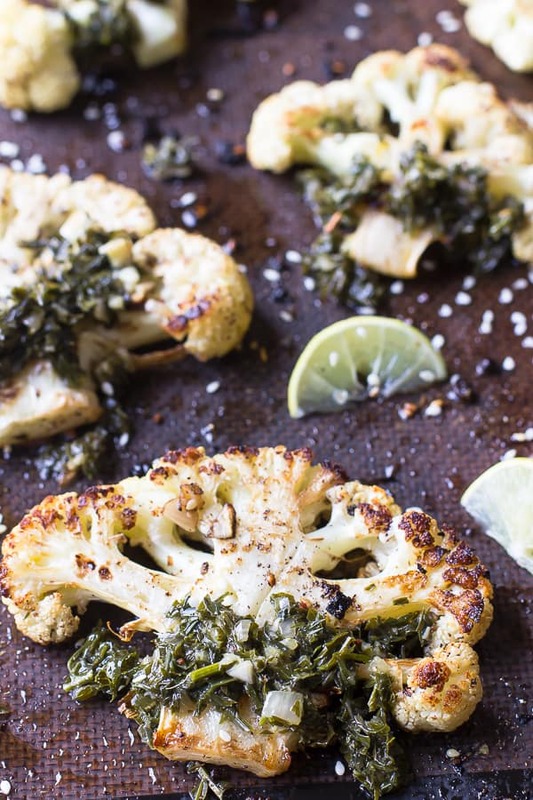 I’m sharing all the ways I’ve used cauliflower on the blog so far. These ways are all so unique and with one bite of any of them, you’ll want to try them all. If you’re really not a cauliflower lover I recommend the orange cauliflower bites first. The flavour will blow you away, and it’s baked. A whole head of cauliflower bites for dinner? Yes please. Enjoy friends! Cauliflower Wings/Cauliflower Bites was the recipe idea that totally changed how I looked at cauliflower. My first version, a vegetarian cheesy buffalo wings became one of my first superstar recipes way back in January 2014. 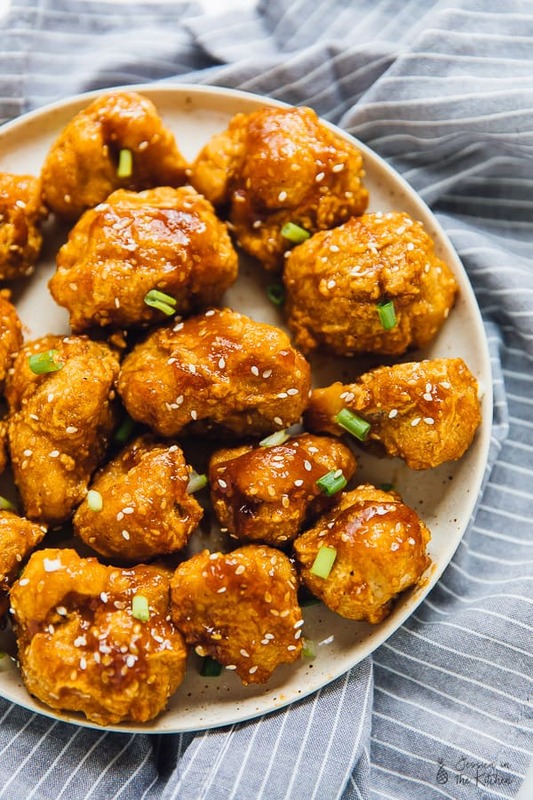 Two years later I made my Sticky Sesame Cauliflower Wings (still a top 3 JITK recipe every single day) and it’s just expanded from there! 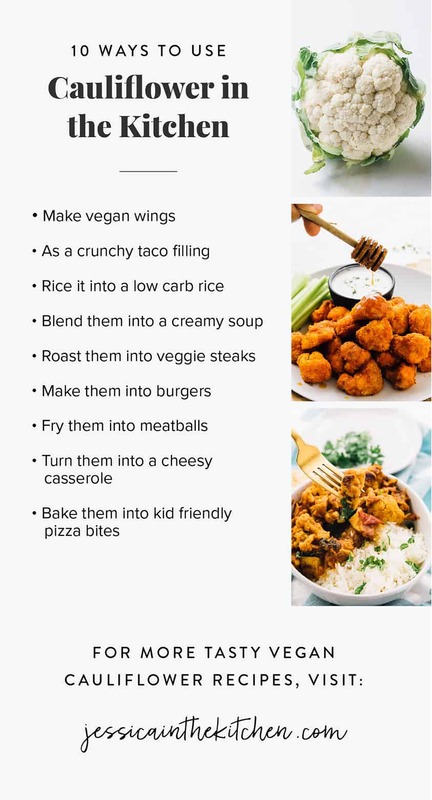 Cauliflower wings or vegan wings are coated, baked (or sometimes fried) and are basically my favourite meatless wings. They have a crunchy exterior with a soft, chewy interior. They absorb any flavour that you give them and taste absolutely incredible. This just may be the homemade taco of your dreams. 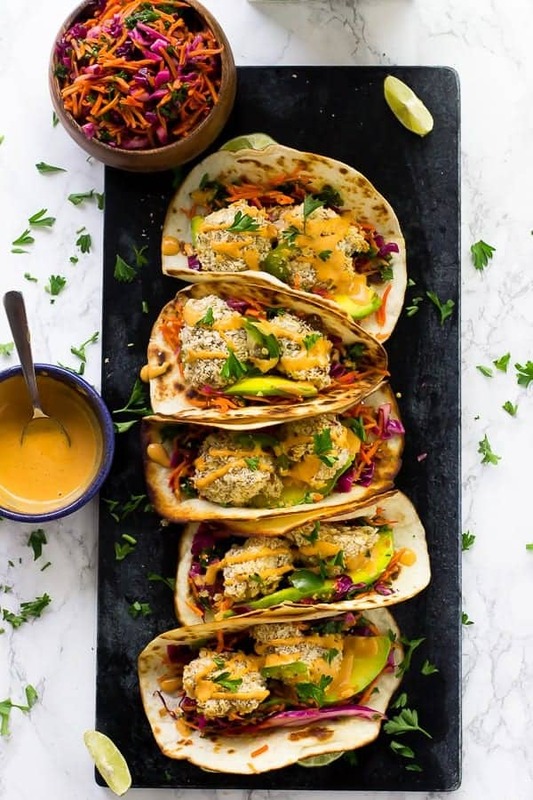 It’s like crunchy cauliflower wings…in a taco…with a divine slaw…topped with a creamy sauce. I mean, can you say heaven? This reminds me so much of rice it’s insane. 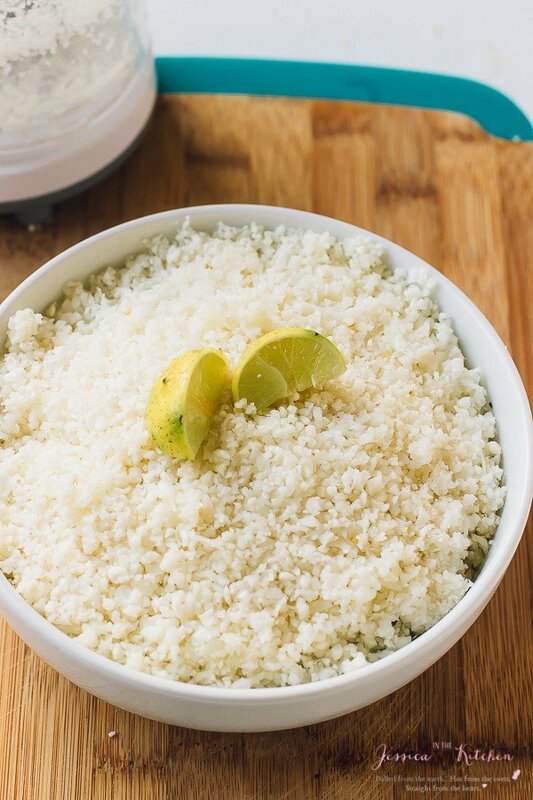 Admittedly I’m not a rice connoisseur, but if you’re looking for a tasty low carb rice alternative, this will definitely do the trick. You can even use it for cauliflower fried “rice”. This is one of the most loved soups on Jessica in the Kitchen. It gets a lot of remarks shocked that there’s no heavy cream in there. 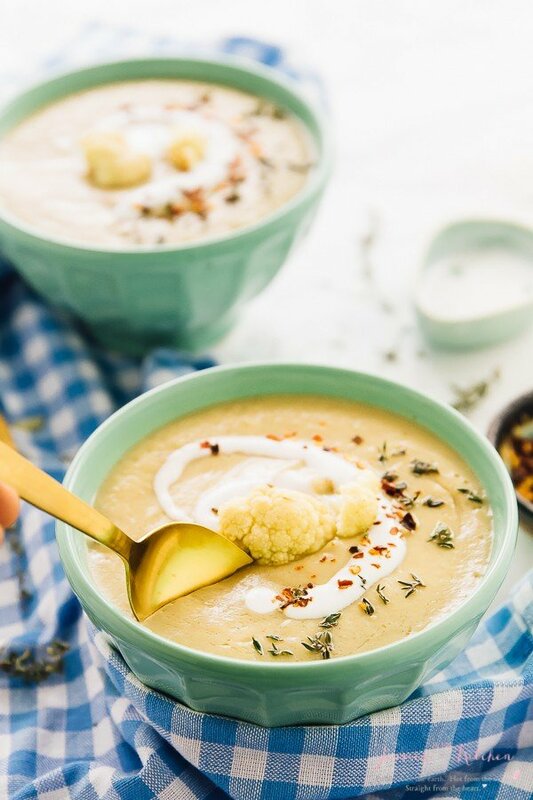 When blended, the cauliflower is rich and creamy and it makes the perfect guilt-free comfort soup. These cauliflower steaks have such a beautiful presentation, flavour, texture and are pretty easy to make. That perfect sear makes all the difference. If you want to impress someone with an easy meal, this is the one for you. Is there anything cauliflower can’t do?! 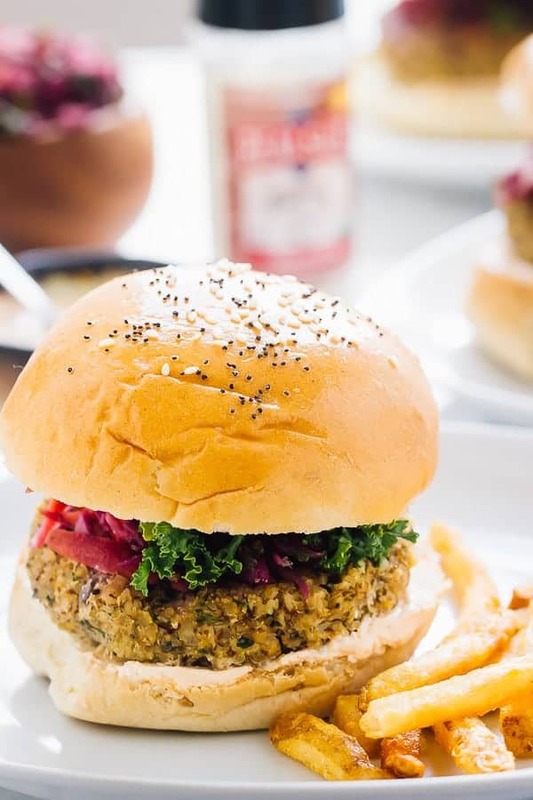 Cauliflower here adds texture and makes these burgers easy to whip up and so tasty. This is one of my favourite cauliflower inventions to date. 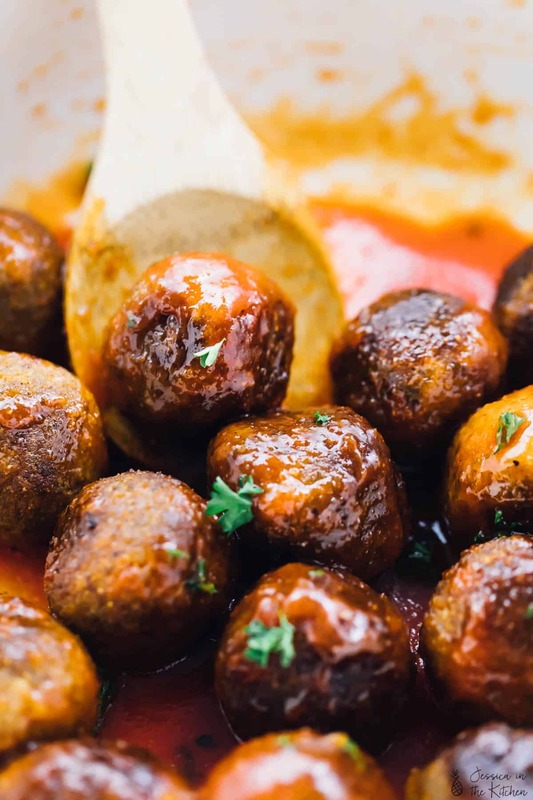 The “meatball” base can be used in any sauce that you desire, and is so easy to make several batches of. 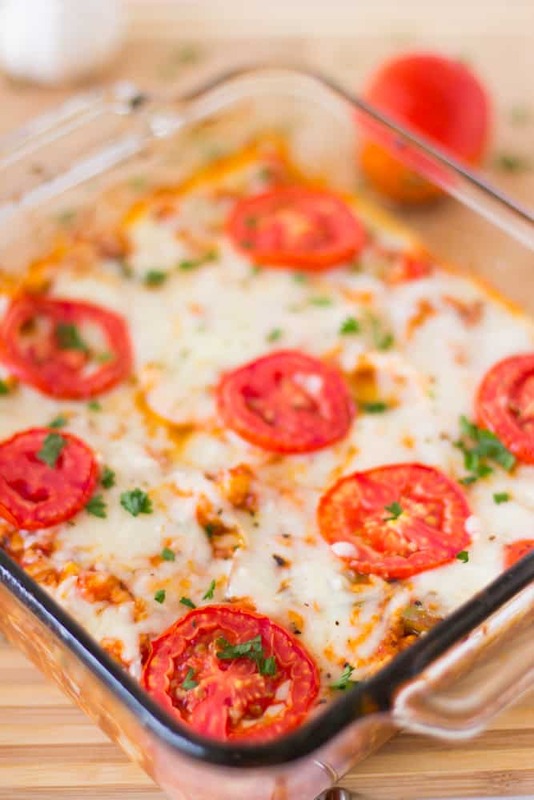 An oldie but goodie, this casserole is an amazing way to use up leftover cauliflower! Because it’s so soft and “meaty” when baked, it works so well in this casserole. Kid friendly alert! 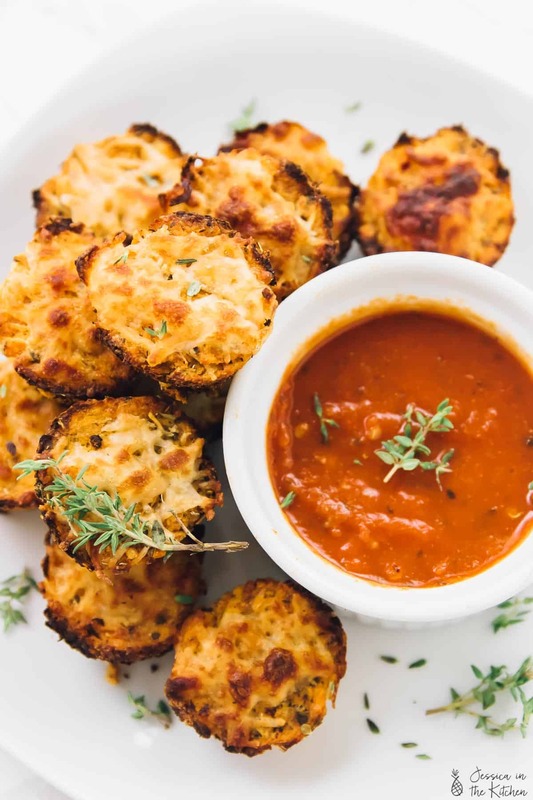 These pizza bites are a pizza lovers dreams come true! 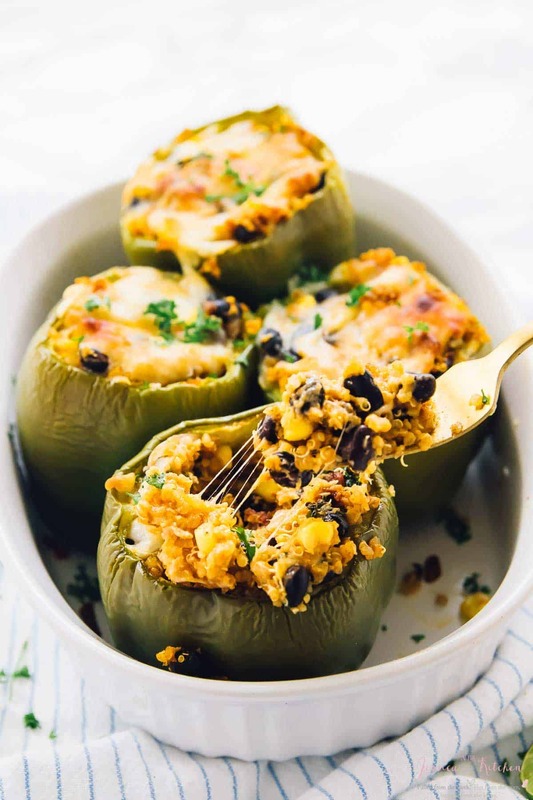 It’s low carb, meal preppable and craving satisfying. After trying a similar curry at my favourite Indian restaurant, I knew I had to replicate it, with cauliflower this time. 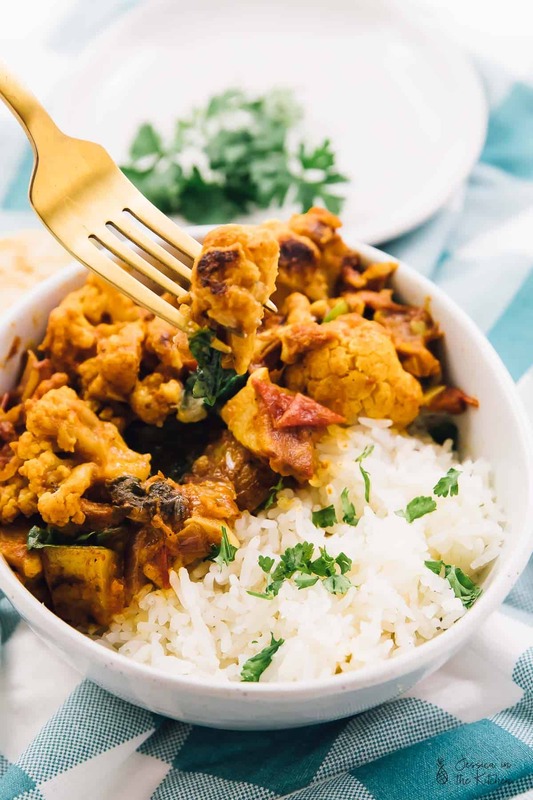 The cauliflower soaks up so much incredible flavour here and makes such a warming and filling and inviting curry! Q: Can cauliflower be frozen? A: Yes! Not only can you freeze it, you can freeze every single one of these recipes too! You can even swap frozen cauliflower for fresh in many cases. Just let it thaw properly overnight in your fridge, or boil it and drain it. 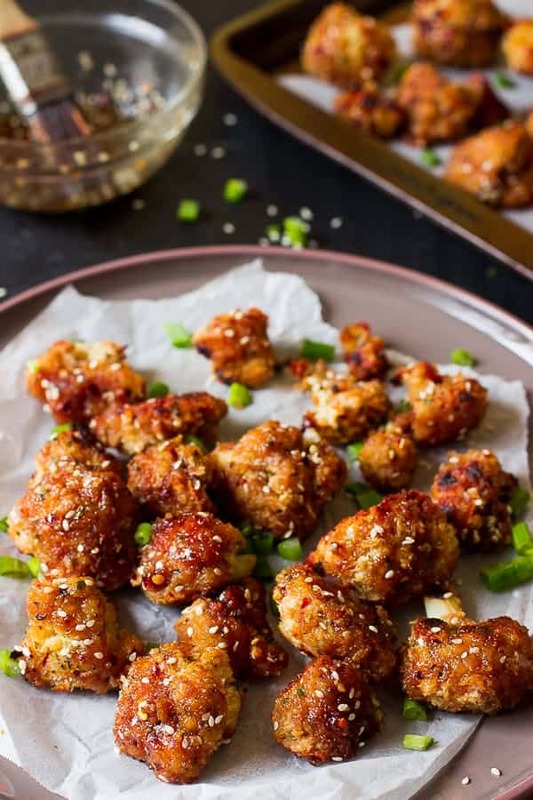 For the cauliflower wings, you’ll want to bake them for about 15 minutes first to dry out the excess water, pat dry thoroughly, then proceed with the rest of the recipe. I hope you found this post extremely helpful! What recipe do you want to make first? What’s your favourite cauliflower recipe? Let me know in the comments section below!